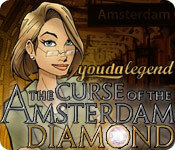 Youda Legend: The Curse of the Amsterdam Diamond is rated 3.3 out of 5 by 24. Rated 5 out of 5 by PlumCricket from An Oldie But a Goodie I haven't played this since I originally bought it about six years ago; I'm pretty sure i didn't finish the game then. There's a hint system - which you are going to need for the HOG part - but there is no work-around for the mini-games, no skip option. It's incredibly difficult, but you get an immense sense of satisfaction from conquering the games. I somehow managed it without the strategy guide (I didn't realize there was one). I'm amazed how much I've learned as a gamer/puzzler in the intervening years. If you're looking for a real challenge of a game - but one that won't make you despair - give this a dust-off. It's well worth it. Rated 5 out of 5 by heather1905 from Best game ever! I enjoyed this game tremendously, I hope they make more like this. Thanks Youda! Rated 5 out of 5 by meriahagain from Amsterdam Diamond Game Well, I love it. It has some very hard puzzles to figure out and it's the first one I've come across that has no skip allowed. You have to figure it our or quit. Really rough. I finally came to a puzzle I couldn't get through. After it seemed hours of play and fun hard work I came to a maze you walked a pair of shoeprints through. Had a hard time and came to the last two doors to go through and they would not unlock no matter what. Was disapointed because I had to quit. Will try some other time I guess. Great game. It could have been something I did or didn't do????? No! Rated 5 out of 5 by kat_fur54 from Enjoyable Game I Love games with "additional" play, such as collecting diamonds in each scene. The graphics are beautiful and the music relaxing. Youda Amsterdam runs smoothly with Windows 7 (always a Big Plus point for me.) The mini games and HOGs are enjoyable. Overall great game, the only thing I wish was better, is if I could find out how many diamonds are hidden in the game. A good buy with great re-play value. Rated 5 out of 5 by lulukikilaw23 from Fun hidden Oject Game! Try it! Try this game, Fun and Enjoy to play. 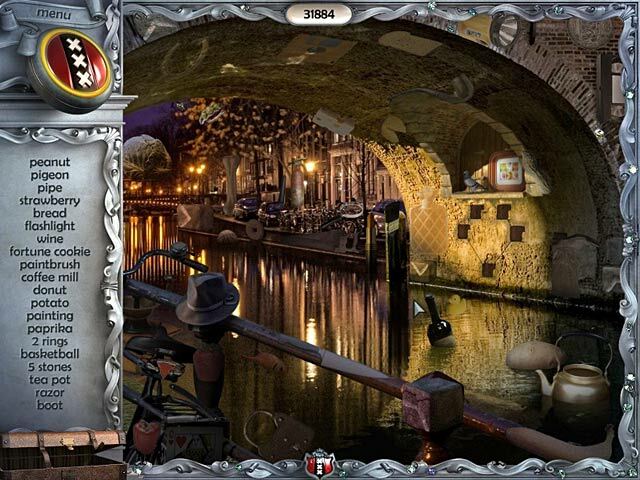 Rated 4 out of 5 by megwoman25 from Oldie But Goodie I have always LOVED the Youda hidden object games. They all have beautiful graphics, actual hidden items in the HO scenes and somewhat challenging puzzles. So now that I am trying to play all the games I have bought over the years but never played, this one went to the top of the list. This is a relaxing game but it can be made timed if you want a challenge. There are diamonds to find in each scene that help speed up the hint button if you use it. The game doesn't tell you how many diamonds there are in each scene but some have A LOT (more then 10). They not only speed up your hint button BUT add decoration to the side of your screen. Part of why I like these games are the sound effects and this game is no different. When clicking the hidden objects (which are actually hidden and somewhat hard to find at times), they make a nice noise when fading away. Some of the puzzles are a bit tricky and there is no skip button so you must use your brain which I like. There are tabs on them to get subtle hints but you must work them out on your own. This is an older game so it is just finding objects in lists and then playing a mini game. I happen to like games like this once in a while so i enjoyed playing it and I liked the creativity. Also the graphics are pretty good for how old this game is. For example the areas you search look photo quality. Here's hoping Youda comes back with some new games, I forgot how much I liked them until I played this. 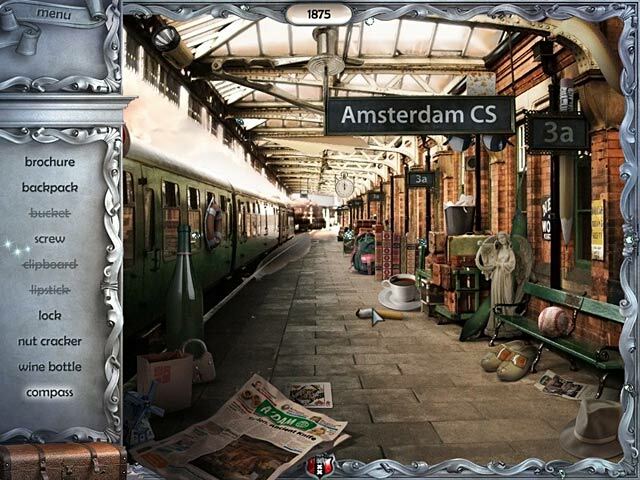 Rated 4 out of 5 by SparkleGlow100 from PURE HIDDEN OBJECTS, with a storyline thrown in. Relaxing. Very old style. Feeling under the weather, I was looking for something EXACTLY like this. Everything old-school. I loved the hidden diamonds on each scene and the feeling that I was in Amsterdam. The still scenes are real photos, with moving ripples on the water. The sounds of the city are spot-on. Won’t fill your screen, and some items are so well blended and hidden, that I think anyone with eyesight problems might struggle a bit. The hint recharges with the diamonds, but I never ran out. All word lists. There are some puzzles thrown in too. A 3 hr game for me. Only 1 mode of difficulty. No modern bling, bells or whistles. There’s no map because you’re led through the scenes. Rated 4 out of 5 by neilskinut from Fun Better than Golden bird of paradise. Buy it when it is $2.99. Rated 3 out of 5 by Aabdreng from Well... Not impressed. Heres my review about this game: Pluses +: I Liked u should put pieces together to go on in the levels, I Liked there was many different levels, Minus -: Little annoying u couldnt skip some of the puzzles, It was a bit short. I Expected a bit more. Not worth the 12.50 dollars. Maybe on sale (6 Dollars) Its worth it. But not a too great game. 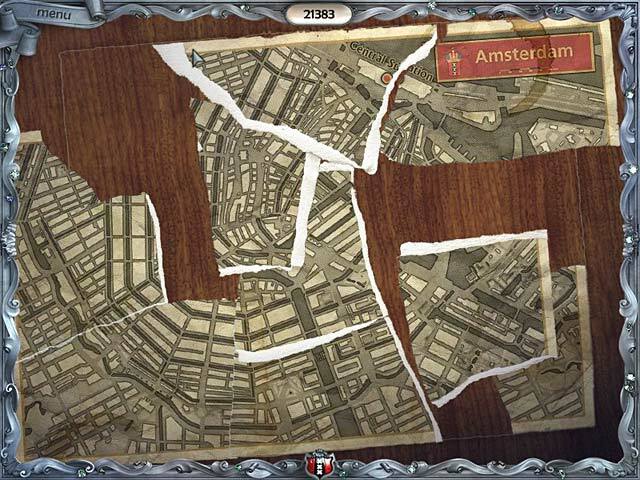 The dark influence of an old curse still taunts the city of Amsterdam! Explore this beautiful city on this mysterious guided tour.